An arts project, which focuses on the theme of ‘home’, has united three local community groups. 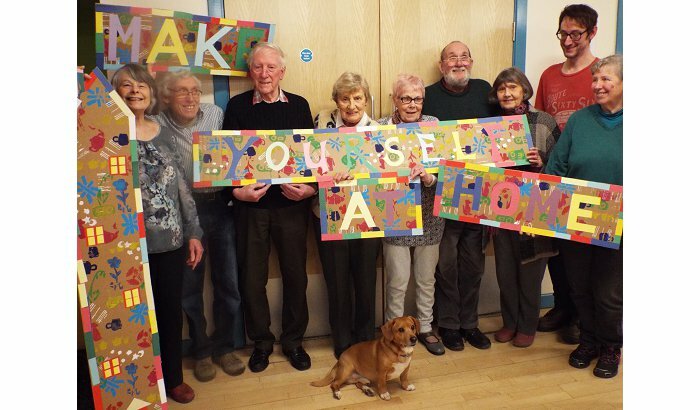 The ‘Make Yourself At Home’ project involved members of Holme Valley Sharing Memories, a local group for older people based in Holmfirth, working alongside adults with learning disabilities from The Bridgewood Trust, and adults recovering from mental health issues at Enfield in Honley. The final exhibition will be on show daily from 10am-3pm at The Packhorse Centre in Huddersfield from 24 January to 21 February and from the end of February onwards in the café at Holmfirth Tech.